A big thanks to blogging buddy JAM for sharing her advice for getting chickens. I, Green Bean, am getting chickens this month and am therefore hanging on every word! When Green Bean announced that she was getting backyard chickens, I was so excited for her! I couldn't wait to share with her all the things I've learned over the last two years since I got my chickens. I don't have my own blog, although I do post occasionally at The Blogging Bookworm, so when I offered my advice in the comments, Green Bean asked me to do a guest post on raising chickens. 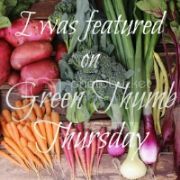 For those that don't know my online self, I am a stay-at-home mom of two girls, ages 15 and 10, living in a suburb just outside Boston, and over the last five years or so, have taken a lot of steps towards sustainability. I line dry my clothes about 90% of the time, we have a garden which provides a good amount of produce, we get a CSA share for the rest, I don't use my car most days, etc. So, two years ago, when a friend asked me if I wanted to raise hens (her first tip - always say hens, not chickens!) for eggs, and for their wonderful poop compost, I said sure, without really thinking about it. I'm still glad I said yes, although there was a bit more to it than I initially realized! The first step is to get some hens. There are two ways to do this. The most common is to get some baby chicks and raise them to maturity. The second way is to buy pullets (hens that are ready to lay eggs). It is pretty hard to find somewhere to buy pullets, unless you know of a farm that raises them that might have extras. Baby chicks are much easier to come by. You can buy them from a hatchery, like McMurray Hatchery, or My Pet Chicken. Sometimes you have to buy them in lots of 25 (since they are shipped in a cardboard box as one day old chicks who don't need food or water for a few days after birth, but do need a lot of chicks together to provide enough body heat to stay warm) and sometimes you can get them in smaller numbers (shipped with heat packs). It is cheaper per chick to buy them in a larger lot, so if you have friends that you can go in with, that's probably the lowest cost way to do it. You can buy all girls, or take an unsexed batch. Most towns don't allow roosters, and they make enough noise that you probably don't want them even if they are allowed. The main reason for wanting a rooster (and one would be enough!) is if you want to be able to raise more chicks from your own flock. I got my chicks from a local farm that sold them for $4 each since I didn't have anyone to share a larger number with. What type of chick to buy? There are many kinds out there - some bred for egg laying, some for meat, and some dual purpose ones to be good for both. Most people who want backyard chickens want them for eggs, so look for good layers. Some do better in different climates, some are noisier than others, some you will like the look of more than others. If you're ordering them, you can choose whatever you want. If you get them from a farm, like I did, you get what they have, and usually it's just fine. You will need at least 2, since they are flock animals and need each other for company. I would recommend at least 3 in case one dies (which they do occasionally). When you first get the chicks, all they need is a cardboard box with some pine shavings or shredded paper for bedding, and a bowl with water, and one with chick starter. This self-waterer is handy because it's harder for the chickens to poop in (notice I didn't say impossible!) and only needs to be refilled every other day or so. You can buy chick starter (and all sorts of feeding and water setups) at an agricultural supply store. If you don't have one nearby (I was surprised to find there was one a town away that I never knew existed, and there's lots more about a 45 min drive outside of Boston) you can get these things through the internet as well. You also want to suspend a warming bulb above the box. You can use one made for this purpose - often found at hardware stores, or pet stores (for reptiles), or you can use a regular incandescent bulb (not fluorescent - the reason they are energy efficient is that there is not a lot of energy wasted as heat, which is what you need here!) Every few days you can raise the bulb so that there is less heat on the chicks - they quickly get used to room temperature. You also want to put a screen or some chicken wire on top to keep interested pets from going after them, and to stop them from flying out. While they can't fly as babies, they will be able to take impressive hops pretty soon! About the time you are sick of the dust they create in your house, it's time to move them outdoors. We were lucky that we have a garden shed in our backyard that I was able to empty and use as a coop. If you don't have a structure already, you will need to buy or make one. You can buy coops on the internet, at agricultural supply stores, or you can buy a winterized dog house, or make something that will work for you. Chickens don't need a lot of space - they are flock animals and like to snuggle. They do need someplace to roost (as high as you can get it). In warmer climates, they can roost on a broom handle, in cold climates they need something like a 2x4 so that when they sit on it, they tuck their feet under their bodies so their feet don't freeze. I nailed up a few 2x4s at different heights. Turns out they only use the highest one, so I would only put one in next time! Some chickens can't fly very well though, so make sure they can make it up to their roost. They also need a box to nest in, but they don't need this until they are about 18 weeks old. I made a box about 1 ft x 1 ft with sides about 16 inches high (they like privacy to lay an egg - wouldn't you!?!?!) out of scrap lumber. They will need bedding on the floor to poop on and to roll around in (dust baths are how they keep clean). When I started out, I bought bags of pine shavings at the ag store, but it is dusty, the cost adds up, and it takes a long time to compost. Now I shred all of my non-glossy paper and use paper shreds. The hens like it fine, and it composts much more quickly. I have read in my latest gardening book that paper has a better C:N ratio for compost than wood shavings, so it makes better compost. The chickens also need some way to get outside and back in again. I built a run for my hens out of 2x4s and poultry fencing (slightly more sturdy and larger holes than chicken wire) from the hardware store. I have 5 hens, so I made my run 6 ft by 8 ft, and 6 ft high (since I wanted to be able to stand up in it). My shed has a window in it, so I keep that open, and I built the run up against the shed, so they can go in and out through the window. I built a ramp for them from the window to the ground out of scrap wood, but as they very soon can fly very well, I didn't need to do this. If you have hens that can't fly especially well (silkies or part silkies), you would need to make sure they can get in and out where they need to. My run is enclosed on the top for better predator protection, since we live near a pond and I've seen hawks flying around. There are pros and cons to enclosing the top - it is better for predators, but traps leaves and sticks, and also can get piled high with snow, which I have to rake off in the winter. I have put two broom handles in the poultry fencing across the corners to give the hens someplace to roost while they're outside. If you have a fenced yard and not too many predators, you can let the chickens roam in your backyard. They will forage and eat weeds and bugs, although they'll also eat your vegetable garden unless you fence that off from them. Chickens do what we all wish our kids would do - they get up bright and early, and they put themselves to bed quietly at about 6:30, so they are pretty safe from predators that go out at night, although you have to decide the risks and benefits to having them more or less fenced off for yourself and your neighborhood. Once the chicks have an outside space prepared for them, you can start bringing them in their box outside for a few hours to get used to cooler air. Within a few days, you can let them live outside. They quickly become very hardy and they survive easily during the coldest winters, even when they're young. I was very worried about my chicks the first winter, but then I recalled the Little House books and how all the animals survived The Long Winter, which was definitely worse than our weather! I do keep a fluorescent bulb on a timer during the winter to encourage more laying (hens lay based on the amount of daylight) but you don't need that until they are about 18 weeks old. Once they've finished the bag of chick starter, they are ready for chick grower, the next type of feed. They eat that until they are 18 weeks, and then you can give them layer feed. Layer feed comes in mash or pellets - the pellets are less easily spilled and therefore cheaper to use, but if your store is out of pellets sometime, mash is fine. I made a feeder out of a cat litter bucket (drill some holes in the sides near the bottom) so that I can keep a good amount of pellets handy without letting them eat it all at once. Hens also love to eat all sorts of kitchen and garden scraps. We keep a plastic bowl in the kitchen, and anything that we don't want to eat that the chickens will goes in there. Apple cores, corn cobs, carrot tops, leftover macaroni and cheese, a half a fishstick (chickens are omnivores so you can give them small amounts of meat - the main thing is to only put out what they'll eat or the leftovers will attract other animals). They love the ends of bread especially. In the winter, they need more food to keep warm, so they eat all of our scraps and some pellet food, but in the summer they mostly eat scraps (I have the pellet food there for them, but it takes a lot longer for them to need a refill.) We also give them all of the weeds from the garden, and the plants after we pull them. Sometimes they eat them, sometimes they just move them around, but they love having something to do and everything composts so much faster once it's been in the chicken run. My mom saves her salad scraps, corn cobs, and bread ends for me - she hates to waste so she's very glad they go to good use. If you mow your lawn you can put the grass clippings in there and it will be both bedding and food. The more vegetation the hens eat, the brighter yellow the yolks are and better tasting their eggs. Speaking of eggs, that's the reason we all want hens! I've read that pullets should start laying at 18 weeks, but mine didn't lay until 22-24 weeks. After weeks of checking the nesting box daily (line that with the same paper shreds you use for the bedding - they are very tidy and will never poop in the nesting box) it's so exciting to go out and find an egg. Usually within a few days all of the chickens start to lay. Their first eggs are small, but within a few weeks they are up to their normal size. Of our five hens, we have one that lays enormous eggs, one that lays small eggs, and three that lay medium eggs. They are also all different colors (one green, one white, and three brown, but different shades and levels of glossiness) so it is easy to see who has laid that day and who hasn't. When you read up on it, you find that hens lay every 26 hours, but only during daylight. So, if a hen lays at 8 am, the next day they'll lay at 10, then at noon, etc. If their time for laying is after dusk, then they'll skip that day and lay early the next day. The best laying hens lay for six or seven days in a row before having a skip day. My hens average 3 to 5 days before a skip day. We joke that they are union chickens since they seem to lay between 7 am and 3 pm, and if they haven't laid by then, they're off duty until the next day. The eggs are delicious, better than store bought, and I've read that that homegrown eggs have more nutrients as well. One caveat is that fresh eggs don't peel very well when hard-boiled, so use your oldest eggs for that! What to do with all those eggshells? Give them back to the chickens!They need the calcium, and they don't compost well anyway if you put them straight in the compost bin. I give mine a quick wash to get the slippery whites out, then stick them on my windowsill for a day. The next day, they're nice and dry and I can just crumble them into the chicken bowl. They eat them, which gives them enough calcium to make more eggs. I also bought a bag of calcium chips at the ag store and leave those out in a bowl - they will eat as much or as little as they need, although they definitely seem to prefer their own eggshells. If an egg ever breaks in the nesting box, the hens will eat it to clean it up, but they really don't break eggs on purpose. That is called egg eating, and happens occasionally. If you do have an egg eater, you have to get rid of it, since it's pretty much impossible to stop, but I've never had one, and none of my friends with chickens have either, so the occasional broken and eaten egg is just an accidentally broken one. In the beginning, a hen will sometimes lay a shell-less egg. It is in a membrane, and is usually laid in the litter, not the nesting box, so somehow the hen knows that something isn't right about the egg. That's just a malfunction in the rather complicated process of creating an egg, and happens more when a hen is just starting to lay. Also sometimes you will get an egg with two yolks - affectionately called "double yolkers" in our house since the kids love finding one. Once every month or two, I shovel out the bedding from inside the coop, and the dirt/composted vegetation and scraps from the run, and put it in my compost bin. I have two bins, so that I can let one sit and compost while the other one gets filled up. Then, one is finished and we spread it on our garden and start on the other bin. Keeping two going at once has been a huge help in getting finished compost, otherwise the bottom would be good but I'd keep putting more on top. Then I spread fresh paper shreds and new leaves, and they have a nice clean area. Even though they do poop everywhere (you will want to keep a pair of shoes designated as "chicken shoes" that don't go inside - Crocs are ideal!) they don't really smell and it does not get offensive as long as you rake up the shreds frequently to help with the composting (a lot will compost before you even shovel it into the bin). In the heat of summer, things do attract flies, but I've never had problems with odor or attracting other animals. I have been keeping track of my costs (startup, and the ongoing costs which are mostly just bags of feed and my annual permit) and figuring out my cost per dozen. When I first started, I had about $100 in costs after my initial startup costs (better food bowls, a few new chicks after 2 died, etc.) so our first dozen cost $407! Not quite cost effective! But by the time we were at the end of September (one full year of having them) we were down to $10.79 per dozen. They didn't lay much over the winter, because it's pretty cold and dark here in Boston, but after I put the light in the coop, that helped. Right now, pretty much two full years after getting the hens, we're at $6.41 per dozen. So really, it's still not quite cost effective - I can get organic, free range eggs at Whole Foods for about $4.50. But.... mine definitely taste better, and because we have chickens, we eat more eggs which means we eat less meat, and the cost of less meat is not factored into my calculations. We have an omelet night every few weeks when we've built up too many eggs, and I often will scramble a few for lunch. I am hopeful that by next summer, my per dozen cost will be below market value - as long as my chickens all stay healthy, I think it will be. Ongoing costs are very low. People in most areas of the country (warmer and longer days) will probably get a higher yield of eggs than I do, which will lower the costs as well. One thing that was unexpected for me was the personalities of the hens. We have had a few that are very curious - if I'm in the coop raking up the bedding, they always come in to see what I'm doing, while the rest remain happily outside. There is one who clucks constantly - she seems like she's always complaining! When you go outside with the scraps (or snacks, as we call them), they cluck excitedly and cluster near the door, then they fight over the good stuff. They all cluck after they've laid an egg, and that can really vary as well. One or two strut their stuff and cluck loudly and clearly, as if to say "Look at that egg - can you believe I just laid that? Looks to me like the best egg ever!" Our littlest hen, Sydney, who lays the small, perfectly shaped buff colored eggs, has a scratchy cluck and she sits in the windowsill to let me know when she has laid. We really think of them as 5 individuals, not a group of hens. What happens when a chicken gets sick, or dies, or turns out to be a rooster? Chickens can get colds like people do (the similarity of diseases is why bird flu was such a concern) and occasionally you will see a drippy beak and watery looking eyes. It is probably caught from a wild bird, but we do avoid giving the hens scraps from someone who is sick. We put those straight into the compost. We have had chickens who have colds get better, and we have had a few that died. Our town advised us to double bag a dead chicken and put it in the regular trash. If you end up with a rooster, either because you bought an unsexed run, or because one of your girls turned out not to be (they are guaranteed 98% or so, but apparently chicken sexing is quite a hard skill, and mistakes happen!) then you have to figure out what to do with it. You can kill it yourself, and either eat it or throw it away, or you can bring it to a live animal auction where people buy animals for food, or you can give it to someone who is willing to take it, to kill and eat themselves. It can be hard to find someone for this, although usually if you have any local farms they can put you in touch with people who will take unwanted birds. A lot of these farms offer "processing" classes so you can learn to do it yourself if you want to. Overall, we've really loved having the hens. My kids learn about life and death with something that they care about, but not nearly as much as a family pet! They also learn about responsibility of taking care of animals, although I definitely do the bulk of the work. They like to take out food scraps and check for eggs, but I'm almost always the one to give them fresh water and shovel out the muck! While it can be hard to go out and give them hot water on really cold days (the hotter the water, the longer it takes to refreeze) they are a lot less work than a dog or cat. We go on vacation a lot, and we have found a few high schoolers that come in and do the chicken jobs as well as the cats and the mail. We have had no problems with that, and they certainly like the income! (Although to be fairer to my costs, I should probably include some of that vacation expense in the chicken accounting, and I haven't done that.) Truthfully, I'm disappointed that my eggs are still more expensive than supermarket eggs. I was really hoping to make this a cost saving venture as well as a fun experience. I've enjoyed them, but I'm not sure if I'll replace these hens as they die or stop laying. Maybe I will, if by the time that happens, my costs come down further. At this point, the only expense is feed and if I had to buy new chicks, so I probably would finally get in the black, even with new hens, so I'll have to think about it when the time comes. Let me know if there are any questions you have about raising backyard chickens, or if you're already doing it, if you have any other tips to share. JAM, you are awesome. You just saved me so much work and research as I start my chicken adventures! I really really appreciate you sharing all this. I am a little surprised that you *might* not replace your hens. Is it just a cost thing? Also, I wanted to add that a friend ended up with a rooster. She was able to find a local farm that wanted a rooster for its flock. She found that farm by asking around on our school list though any sort of community message board might be able to lead to a solution for that kind of problem. Thank you again for guest posting! An amazingly informative post. Thank you. Holy cow - that must've taken you forever to write! I agree with Maureen - how informative! I've wondered what it would be like to have chickens - er, hens - and this certainly gave me a good idea! Currently our shed that could have someday become a coop is being turned into our "pool house" (and by that I just mean it's going to be in close proximity to the pool we're getting - no pool boy or anything like that...yet). Somehow I think the last thing either we or our guests are going to want to look at while they're floating in the water are chickens, but who knows - maybe someday if we ever move? Very, very interesting! Great post! I got chickens this year and am loving them. We have 6 and they live in a chicken tractor that my neighbor built. I love the tractor because they can be moved wherever we want them. Right now they're in my garden cleaning up and tilling for me. Ours haven't started laying yet, but should in the next few weeks. Very very interesting. I'm surprised about the cost factor as most places I've seen about home chickens talk about it as if you can save tons if money. But they don't provide the info or numbers like you have. Do you have any books or websites to recommend on this subject? I think the thing with the money is this - if you have enough chickens that you can sell the eggs, you can start to break even or make money more quickly. In my town, you can only have 5 hens, and you are prohibited from selling the eggs. Also, if I lived in a more rural area, I might not have needed the run at all, and that would have saved me quite a bit of money. If I added in the extra we pay our neighbor when we're on vacation to take care of the chickens (above what I would pay for the cats and mail) then my eggs are even more expensive! As to possibly not replacing the hens, it's a back-and-forth in my head. On the one hand, I've invested in all the major stuff already, ongoing costs are quite inexpensive (buying chicks, feed, and my annual $25 permit), so I ought to keep on doing it to eventually make a profit! On the other hand, for something that reaps so little (if any) economic benefit, it's something that I have to do day in and day out. I'm trying to simplify my life overall, and while I enjoy taking care of the chickens most of the time, especially in the warm weather, we get an awful lot of cold, wet weather up here in Boston, and those days, having to make sure they have unfrozen water can be a real drag. If I don't line dry my wash one day, it's no big deal and I can do it the next day, but if I get more chicks then I am committing to a few more years of taking care of them. Sometimes it seems a bit overwhelming! My husband bought me a book on chickens, Living with Chickens: Everything You Need To Know To Raise Your Own Backyard Flock and it was somewhat helpful, but seemed to apply more to more rural people with a lot more latitude to build to certain specifications and for those who would be having enough chickens to produce a whole ton of eggs. My friend who got me into them is my expert source, so she's usually where I turn when I have questions. Putting a floating object in the water makes it take longer to freeze as does hanging a light over top the waterer. A heated water dish would keep it flowing the best. Also you could borrow or buy a used incubator to hatch chicks. Cheaper and educational for the kiddos. To save feed costs you could grow food specifically for the hens. Sunflowers are expecially easy. JAM: This was an amazingly informative post. Any living creature does require a lot of time and energy, but I'm still surprised at how much time and money this endeavor has taken you. I'm a lurker here but I couldn't resist commenting on suburban chickens since I've recently moved from a rural area to the suburbs. We have six hens and a very similar setup although our hens free range in our back yard for most of the day and we use wood shavings and straw with some shedded paper added when we have it. One thing that I think you should factor in to your costs is all that lovely manure. Although I've never done the calculations I'm betting it would tip the scales in favour of keeping those hens. Thanks everyone! I think you're right, that the fertilizer should get added back in there somehow, to be fair. I'm just not sure how to do it since it's hard to equate what we make to bags from the garden store. Also I was just jotting down actual cash outlays - like everything, I think things add up to more than we think they will. It's certainly been a great lesson for all of us and it makes me appreciate free range, organic eggs from local farmers that much more. I am in Australia and once school holidays are over here we will be getting hens for the coop we have constructed over winter so your post has been very timely for me. Great post! Every now and then I toy with the idea of getting chickens. We can't have them at our current place, but we're moving and I'm hoping I'll have the option later. Appreciated hearing about your experience. Okay, if not for the LOOK my husband gave me when I suggested it, this post was absolutely enough to have me really wanting a little chicken flock in our backyard...this was AWESOME, thanks for posting! We got a cat once that way too - that'll teach him not to go away so much!!! I have had chickens in the past, 8 to be exact. With 2 roosters... Yes, I know. Not very smart, but 9 years ago we were city people through and through. My hubby knew someone who gave us EVERYTHING! So start up for me was ZERO. I refused to care for them, but as time went by I warmed up to my "girls". They laid eggs for us like NOBODY'S BUSINESS. Lol. It was wonderful having fresh eggs. All and all it was an enjoyable experience. My Rottweiler never bothered them. They were allowed to roam my property (we have 6 acres) but always stayed within the area of the hen house. Why did we get rid of them? I was attacked by one of the Roosters. The little bugger... And my daughter was just beginning to walk. The idea of all the random yard poop and a mean rooster put me off. Good news is they only relocated to the farm across the street, so I knew they had gotten a good home. Now that my daughter is 7 we were thinking of starting up again with raising hens for eggs. This tone it's going to cost me some moolah. Thanks for the amazing article. I'm going to wait til spring, think it through a but more..